If you've been following this blog for a while then you'll know I am forever on a mission to loose weight. It's a constant battle in my life and since gaining a lot of weight I've been trying out some different diet plans to see how I find them, and also to review them for anyone else who might be looking to shift a few pounds. 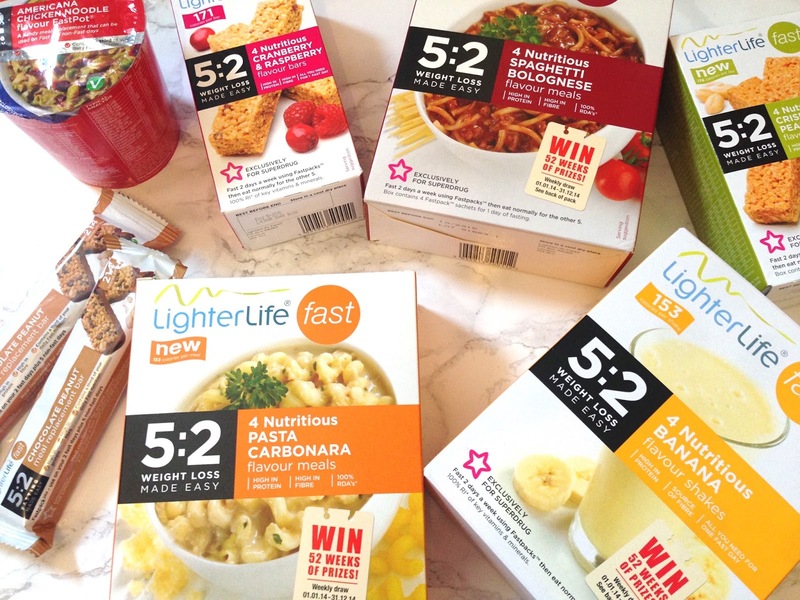 LighterLife Fast sent me over a selection of their products* so I could trial their plan and post about how I found it along with any weight loss I may have had. First up let's talk about the plan. Exclusive to Superdrug, this plan is a little bit different to some of the other meal replacement diets available, this is because its taking a slightly different angle. The 5:2 Fast is a well known and well loved eating plan, it is based on the concept of eating normally for five days of the week, and then on 2 days reducing your calorie intake. This intermittent fasting diet style has worked really well for a lot of people, and can definitely be an easier 'diet' to maintain. 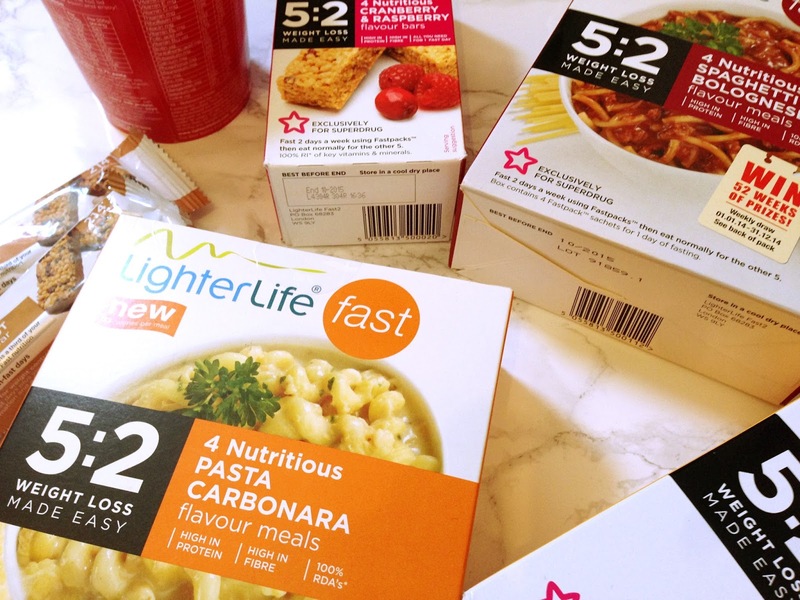 LighterLife Fast helps you with this plan by providing meal replacements for your two fasting days, they contain 100% of your daily nutrition and your 4 daily meals comes in at 600 calories. It's an easy, convenient way of sticking to the 5:2 diet without calorie counting, cooking or worrying about how much nutrition you're getting! So we know how the plan works, but how did I find sticking to it? Well firstly there is a great range of products, from shakes to pasta, chocolate bars to soup. I loved that there was a choice of savoury and sweet options meaning I didn't feel like I was eating chocolate bars for every meal. Sticking to a reduced calorie meal replacement plan for only 2 days of the week is a lot easier than every day, I found I could plan my fast days around events or when I knew I'd be wanting a real meal, this freedom is definitely a big bonus for this plan. Also as you're only using 8 products a week (4 a day for 2 days) the packs last you a lot longer. I spent 3 weeks on this plan, meaning I had 6 fast days spread out across the weeks. I found it pretty easy to stick to due to this flexibility and less of a commitment than an every day diet. The products themselves are very similar to other meal replacements I've tried, as always they're not very big, they're not hugely filling and they're not an amazing tasting meal, but they're not bad, they're edible and if you're like me and can't stand the thought of a meal without a fruit or vegetable involved then you can easily add in some extras to bulk them up a bit, although this isn't recommended by LightLife Fast. I added tomatoes to my pastas, bananas to my shakes and whatever fruit or vegetable I fancied to my meal bars. I think if you're wanting to try a meal replacement diet then you're going to understand and accept what is involved in that, which is packet meals. Overall the taste of these meals are average in my opinion. The main selling point for me is the ease and convenience, 2 days a week is a lot easier to commit to, and if you eat reasonably healthy the other 5 days then you are likely to see a result. So that leads me on to the final part of this review, was I successful in loosing weight? 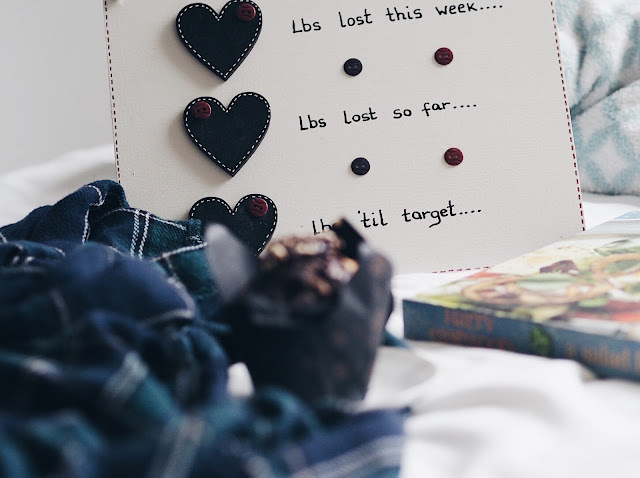 YES I finally managed to loose some weight, although I feel like I've put it all back on after the Blogger Sleepover the past weekend (post coming soon!) However it was definitely a motivator to have lost some weight and has inspired me to watch my portion sizes and get back to a healthier lifestyle. This plan isn't going to be for everybody but I would definitely recommend it for someone who was looking to try something new to kick start their weight loss. It would work best for someone who already eats reasonably healthy, and LighterLife Fast have a good range of products to add to your diet. They've also suggested incorporating the 5:2 concept into other areas of your life, whether it's taking 2 days out of the work for 'me time' or getting an early night twice a week. I think I need to try a digital detox 2 days a week as I spend far too much time in front of my laptop! You can find out more about the LighterLife Fast plan here. The products are only available at Superdrug, either in store or online. I'd love to know your thoughts on meal replacement diets like this? Or maybe you've tried LighterLife Fast or the 5:2 diet? I enjoy trialling these diets and plans however I am a believer in healthy eating and exercise as the best way to loose weight healthily! If you'd like me review any other diet plans you've heard about then leave me a comment and i'll see what I can do! 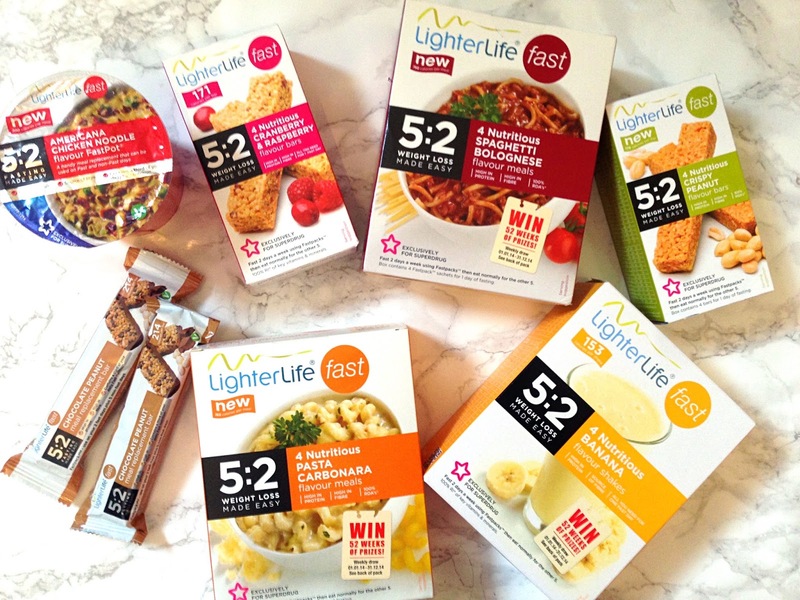 *LighterLife Fast supplied me with these products to trial and review, however all thoughts and opinions are my own.